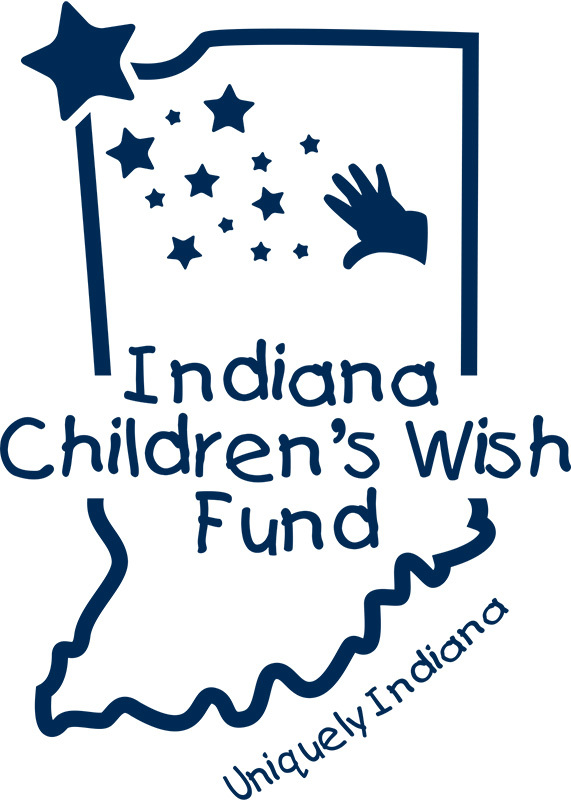 The Indiana Children's Wish Fund, Inc. grants wishes to Indiana children, ages 3-18, who have been diagnosed with a life-threatening or terminal illness. Our mission is to bring joy, something to look forward to, and a sense of normalcy to special kids in our state. We are Indiana Children’s Wish Fund. Help us grant the next wish! “Every child has the right to be loved, nurtured and to reach for a dream. Peyton Manning Children’s Hospital at St. Vincent provi des some of the Midwest’s most advanced pediatric services, including Indiana’s largest neonatal intensive care unit and the most fellowship-trained ENTs in Indiana. Giving a healthy, happy childhood, and a future where the possibilities are endless. Riley Hospital for Children at IU Health is one of the nation’s best children’s hospitals. Expert, family-centered pediatric care is available at Riley for every child who needs it. Riley Hospital opened in 1924 as the state’s first hospital exclusively for children. Now, more than 90 years later, Riley is home to the state’s largest pediatric research program, where physician-scientists move their discoveries as quickly as possible to the bedsides of children. Children visit Riley more than 300,000 times each year. PLEASE READ CAREFULLY. THIS IS A LEGAL DOCUMENT THAT AFFECTS YOUR LEGAL RIGHTS. I wish to participate in 9thAnnual Republic Airways Plane Pull benefiting the Indiana Children’s Wish Fund, Peyton Manning Children’s Hospital at St. Vincent, Riley Children’s Hospital, and A Kid Again. The event is scheduled to take place on Saturday, April 13, 2019, at the Republic Airways Hangar in Indianapolis, Indiana (the “Event”). I agree to abide by the rules, regulations, and instructions of the Event, as well as all applicable municipal and state laws and regulations. I understand that participating in the Event is a potentially hazardous activity and can result in serious injury or death. I am aware of and expressly assume all risks associated with participating in this Event, including, without limitation, falls, contact with other participants and objects, and the effects of weather. I assert that my participation in this Event is voluntary. In consideration for being permitted to participate in this Event, I, for myself and for anyone entitled to act on my behalf, hereby waive, release and hold harmless Republic Airways Holdings Inc., Indiana Children’s Wish Fund, Peyton Manning Children’s Hospital at St. Vincent, Riley Children’s Foundation, and A Kid Again, and each sponsor, and their respective subsidiaries, affiliates, directors, officers, employees and agents (collectively the “Released Parties”) from and against any and all claims, causes of action, or demands relating to or arising out of my activities as a participant in the Event. I understand and agree that this Waiver and Release is binding on my heirs, assigns, and legal representatives. I attest that I am physically capable of, and have sufficiently trained for, completing this Event. If I am aware of or under treatment for any physical infirmity, ailment, or illness, my medical care provider has been apprised of, and has approved of, my participation in this Event. I agree that my participation in the Event is subject to the sole discretion of the organizers of the Event, and that my participation may be limited or terminated, with or without cause. I represent and warrant that I will be at least 16 years old at the time of the Event. If I am younger than the age of 16 and participating in the plane pull, I understand I MUST have a guardian present at the Event. I understand that all donations processed by the Indiana Children’s Wish Fund, Peyton Manning Children’s Hospital, Riley Children’s Hospital and A Kid Again are non-refundable and non-transferable, even if I do not participate in the Event. I understand that the Event, and all its related events, are public events which may be recorded and so I give permission for the free use of my personal information including name, voice or likeness observed at these public events, in any broadcast, telecast, advertising promotion or other account of this Event for marketing or promotion for future or similar events. THIS WAIVER AND RELEASE SHALL BE INTERPRETED AND THE RIGHTS OF THE PARTIES DETERMINED UNDER THE LAWS OF INDIANA. THE INDIANA COURTS SHALL HAVE EXCLUSIVE JURISDICTION FOR ANY DISPUTE ARISING UNDER, OR PERTAINING TO, THIS WAIVER AND RELEASE. I have carefully read this Waiver and Release and fully understand its contents. I am aware that this is a release of liability and a binding contract between myself and the persons and entities mentioned above, and I sign it of my own free will or in the event I am under 16 years of age, that my guardian executes it on my behalf. I understand that I am giving up substantial rights, including my right to sue, and intend by my signature to be a complete and unconditional release of all liability to the greatest extent allowed by law.